Scottish Government must provide cash for Orkney's inter island ferry services. Orkney Islands Council has issued the Scottish Government with the ultimatum that it must pay £6.8million for its inter-island ferry service – or they will stop running it. 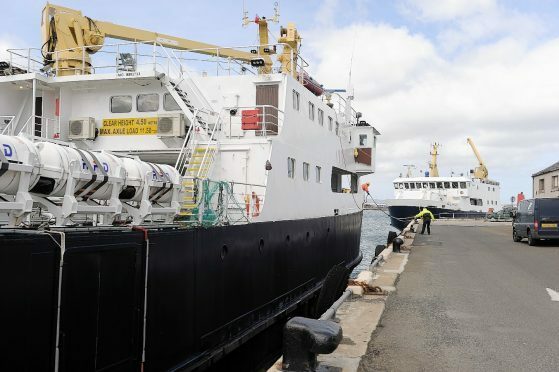 The council has warned that vital services on the islands will be at risk unless the government covers the full cost of its fleet of seven ferry services serving islands such as Eday, Hoy, Sanday and Westray. Council leader James Stockan has told ministers in Edinburgh the council will hand back responsibility for running the service to Transport Scotland unless funding is provided. Council-run ferry services in places such as the inter-islands in Orkney, Shetland and to Luing, Easdale and Jura in Argyll are all funded, in part, from the budget announced by the Scottish Government. Last year, Orkney and Shetland received £10.5 million worth of support following a lengthy campaign by the council for fair funding. Of this, £5.5 million was allocated to fully fund Orkney’s internal ferry service during the current financial year, with £5 million awarded to Shetland Islands Council for its ferry operations. Council leader James Stockan said: “It is welcome that the government has again included funding for inter-island ferry services in its budget for the year ahead. “But this time there is no specific amount allocated to Orkney or Shetland. The government recognises that it will cost £6.8 million to operate our ageing fleet of ferries during 2019-2020, and that is what we are asking the government to provide. “We would object in the strongest possible terms if we end up with a reduction in our ferries funding. This would place a wholly disproportionate and unfair burden on the smallest council in Scotland and would mean us having to make cuts to other vital services.